Even if you’re not working with a rustic wedding theme, country wedding songs are an absolute must for any modern wedding. Country and Western has come a long way from it’s Southern US origins spanning and mashing with today’s most popular music. It really does have a little something for everyone. 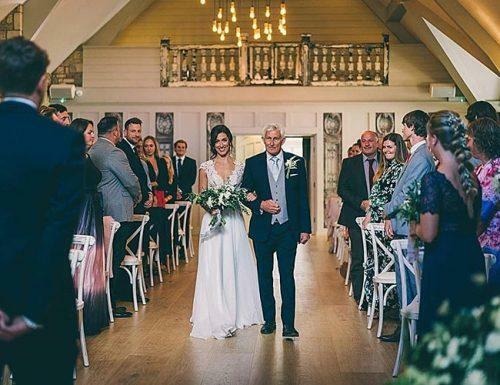 We have plenty of country wedding songs examples: from country songs to walk down the aisle to and first dance songs, to after party country hits. Check the post and make your wedding playlist complete! How To Make The Perfect Playlist? How popular is country music for a wedding? For Your Inspiration: What Country Wedding Music Real Couples Used For Their First Dance? The buildup to the ceremony is packed with emotions and a million little tasks to tend to. This deserves an amped up playlist, and there’s no better option than a little southern flavor. 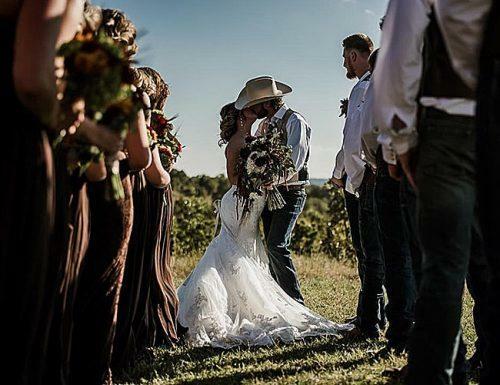 The top country wedding songs 2019 – like Jason Aldean’s “Drowns the Whiskey” or Taylor Swift’s “Fearless” – are full of emotion and will carry you through all the ups and downs of the big stress. You’re bound to go through a wave of feelings as you do your hair, get your makeup done, and don your wedding gown. It’s never a bad idea to pop on an upbeat country song and dance a little with your bridesmaids to keep the energy level high. Make sure to have a range of country music styles as you build your wedding songs playlist. Country songs have a tendency to be themed around heartbreak. Make sure this does NOT make an appearance on the list. Not a great time to be reminded of your ex. Many country songs talk about drinking. Don’t follow the advice of the lyrics, you need a good clean head for the rest of the day’s events. Choose a few that you love to sing along to, and a few that you haven’t heard yet. When you hear the song again, later on, it’ll remind you of your big day. Sweet right? 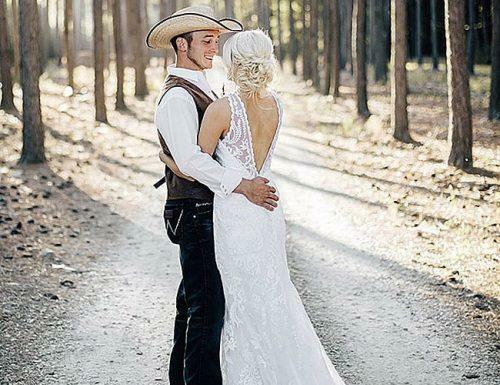 Some of today’s top trending country songs are a little too upbeat to walk down the aisle to. You wouldn’t want to skip down the aisle. But, there are a handful of country songs from the ’90s and earlier that seem to be tailor-made for your iconic bridal march. Songs like Shania Twain’s “From This Moment” have the perfect beat, rhythm, and sentimental lyrics to accompany you down the aisle. And there’s more. Every ounce of the following playlist screams “until death does us part” and embodies what it means to be in love. Choose a song that’s dear to your heart. Let the lyrics soak in as you walk down the aisle. Do the same for him. Seeing his eyes well up a little will look you’ll always remember. Choose a tempo that matches your natural walking pace. You don’t want to appear rushed or clumsy. Read the room. Your guests should enjoy the song as well, and something super modern may not hit home with older relatives. If you’re dreaming of a soundtrack to accompany your wedding ceremony, look no further than country songs about love. Light background music is highly appropriate to keep your guest’s attention and enthusiasm, and an entertaining segue between events. Some of the best country love songs like “I Do” by Paul Brandt have the uncanny ability to capture the entire room’s hearts within a few seconds. This is the perfect way to set the tone for your vows, or the perfect backdrop to signing your marriage certificate. Make sure to include the groom in the music planning. It’s nice to get your way, but this day is all about two lives becoming one. Don’t pick songs that are so popular that everyone will get distracted and sing along, but also don’t choose songs that no one knows. Find that sweet spot. Fun and silly have their place, but your vows are solemn. Choose songs that fit the description. The ceremony is the meaningful part, but the reception is where all the action is! This all begins with your first dance wedding songs. Lone Star’s “amazed” is a fine example of country first dance songs that embody the emotions you two are going through as a brand new husband and wife. The nice thing about country music is how many moods it fits. You can go from sad, to happy, to country party song without missing a beat. Whether it’s an undying passion or ‘screaming from the mountaintops’ joy that you want to meet your new world with, country music has plenty of options for you. Since it’s your first dance as a married couple, try to find one that fits your narrative or best represents ‘your story’. If you’re going for upbeat, try a fusion. Best country wedding songs mixed with pop or rock really gets the people going! Choose country slow dance songs if you want to keep with tradition. Many modern weddings try to surprise guests with an upbeat choreographed number, but nothing beats a good old romantic slow dance. Country music has been popular for decades which means there’s no shortage of retro country songs to choose from for the parent dance. There’s bound to be more than a few that you heard on the radio growing up or witnessed your parents dancing to at family reunions or other parties. You’ll have to be particularly choosy when selecting the best country song for your parents to dance to. Although they’re gaining a new son, it often feels like they’re also losing a daughter. It’s a very emotional day for them. Choose a song that lets them know how grateful you are for raising you and preparing you for the rest of your life. 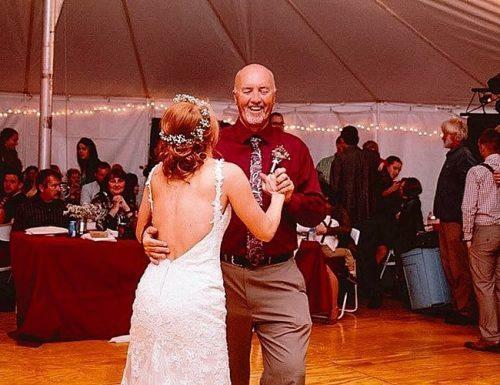 The Father daughter wedding dance is one of the most sentimental moments of the event. It’s when the man who first loved you symbolically passes the torch to your husband, and there’s no better soundtrack to the moment than a country music ballad like Heartland’s “I loved her first”. Each song in this category is chock-full of emotion and sure to tug on dad’s heartstrings. As an added bonus, most of these are nice and slow which may be perfect for dad’s dance skills. It’s hard to imagine something stronger than a mother’s love for her son, and there are plenty of mother-son country songs that reflect this. She’s the one who taught him how a woman should be treated and she’s the one who’s worried that he may not be fine on his own. Choose a mother-son wedding dance playlist that’ll put her at ease and let her know her son loves her just as much. Willie Nelson’s “my mother’s eyes” is a beautiful start, and we know you’ll love the rest. The wedding reception is where the real country music playlist kicks in. A night of dancing is ahead of you, and you’ll need a killer assortment of fast and slow songs for your guests of all ages to enjoy. There will be food, speeches, toasts, and tons of socializing which country music is the perfect backdrop. This category lets you choose the best of classic country and western, pop and rock mashups, modern ballads, and the top country songs in 2019 which keep our toes tapping. If you can, hire a professional to teach and lead a proper square dance. If you’ve never tried you’re in for a treat! Involve the groom, your bridal party, and the DJ so that you have a well-rounded mix of country wedding songs. Your audience range at different age brackets, so include some new country songs 2019 and some blasts from the past, so that everyone can relate. Arrange for a few cowboy hats for the kids to wear. 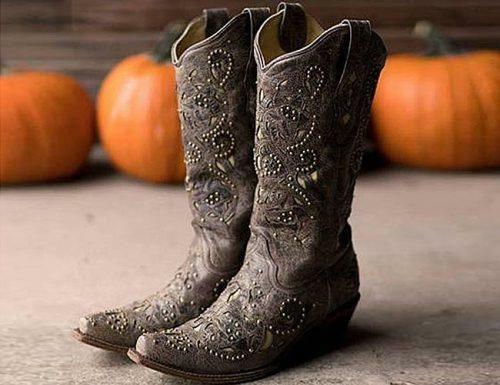 Country music is a little bit of an acquired taste and a little dress-up will help them get into it. 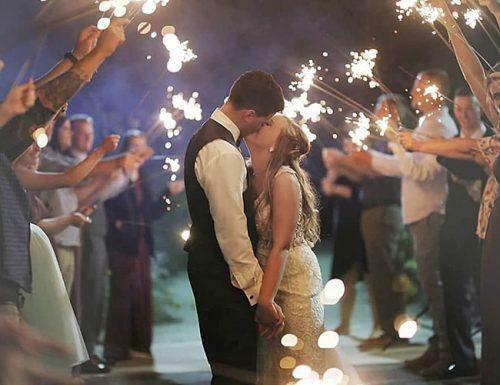 Your guests are sure to remember every special moment throughout the event, but the one they’ll be talking about on the way home is the send-off dance. You can choose a slow country wedding song that leaves your guests in the mood for love. You can choose a country dance song that leaves them enthusiastic and full of energy. But, if we’re being honest, we prefer to choose a song that everyone knows the lyrics to. As a bride and groom, witnessing your entire guest list singing along and dancing is a very rewarding way to close out the evening. First and foremost, choose something familiar. Even if they aren’t singing along, having a connection with the song makes it more meaningful for the entire party. Avoid country songs that sing about booze. By now your guests have already had a few drinks and you don’t want to encourage them to get drunk just before you send them home. Choose a song that is personal for you and your groom. You’re just about to set off on your honeymoon which is the perfect time to lose yourself in each other’s arms. Ok, so we mislead you a little bit. The “last dance” is the end of the formal event when a lot of your friends and family depart. But, it’s also the signal for the Party to begin with your closest people. All the responsibilities are the offer and the ceremony was a success, it’s time to cut loose! You can ignore all the advice we gave you before about avoiding songs that cater to older guests or mention alcohol or vulgar language. Some older country and western songs are absolutely fantastic to party to, but we find that new country like Lee Brice’s “friends we never forget” is full of energy and fun lyrics. To end your night right, this is your country music party playlist. Ask your DJ/MC which country songs are blazing up the clubs right now. Plan to preview the songs at a pre-wedding event so that you get familiar with each song and can screen it for anything undesirable. Involve your whole team. There’s always music out there that you haven’t heard yet, or maybe have forgotten about. Check the top 15 country wedding songs of all time to play at your wedding! Country music is known to be very lyrically driven, with many of most our favorites being of the county love songs variety. 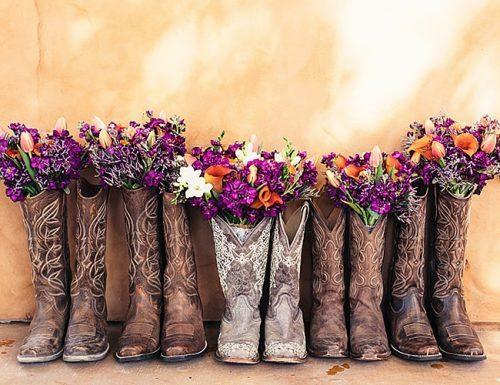 Passionate lyrics and rhythmic beats make country music an extremely popular choice for first dances, walks down the aisle, and getting ready before the ceremony. But love songs aren’t all country music has to offer. Thanks to a few stars like Carrie Underwood, Keith Urban, and Taylor Swift, country music has exploded onto Pop Top 40 lists around the world. All throughout the night, you’ll find a fitting spot for your favorite country song. Looks like we’re not getting off the emotional train anytime soon. Country songs have a way of making people addicted to them. They are soothing with their lyrics and instrumentals. They get couples so emotional and drive some to the point of tears. Country Songs have stories behind every word. They tell tales, and in this case the story of love, effortlessly. Country songs see people through sorrow, Ill health, bad days, heartbreaks, triumphs, and new beginnings. Like we will see from the testimonials of these couples featured in this section, each of them fell in love with country music because of beautiful songs they can relate to. Country music tells the story of how they met and how they fell in love and has the unique ability to touch the soul in a way that other music genres simply can’t. 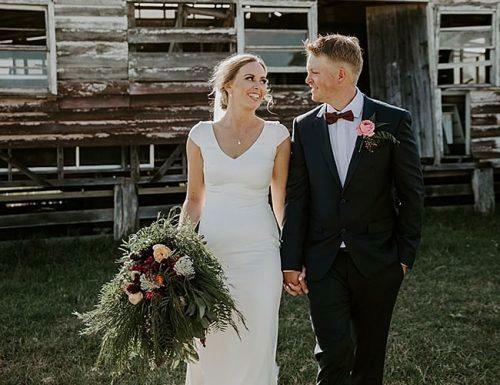 Even couples that aren’t hosting a country-themed wedding are happy to include a few country gems in their playlist due to the style’s ability to captivate the crowd. We found some samples of a few couples who did just that. If you’re not already convinced that country music is an absolute must at your wedding, read through these is testimonials. Get your tissues ready. For Tahlia, the choice was easy. 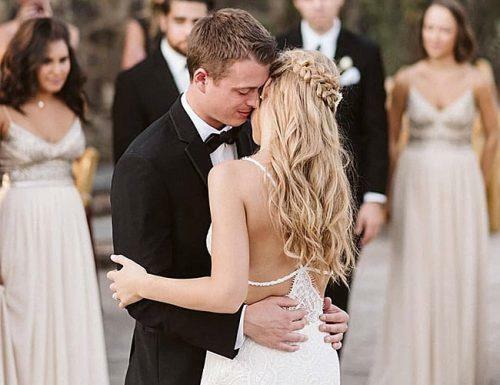 For this couple, it was the groom who had his heart set on a particular song. George Strait’s “The Best Day” meant a lot for Brandon, who had gone through a serious illness before he meant Amber. He remembered leaving the hospital and hearing “The Best Day” on the radio. When he heard it, it helped him look ahead to brighter days, and when he got better and then eventually met Amber, those brighter days became a reality. Does Spencer love songs that tell a story, and what music tells greater stories than country songs? Megan, who was already a fan of the genre, introduced Spencer to country music and he was hooked. When it was time to choose a song, it was a hard decision. They did their research and eventually chose “God Gave Me You,” by Blake Shelton. says Megan, who especially loved the lyrics describing God planning out a relationship to be better than the couple could have ever expected. 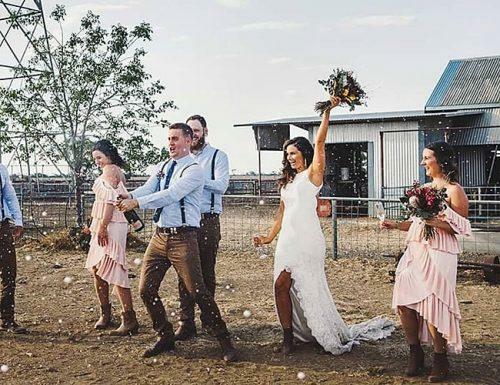 Having come to the end of this post for country wedding songs 2019, it is our desire that your country themed wedding is a blast. This is a long list of more than 100 top country songs you have ever heard. It features the greatest country artists ever from the nooks and crannies of the world. With this, we see no confusion or double guessing for you when creating your country songs playlist. That said, have a great one at your wedding, we keep rooting for you! Check the infographic about How to choose country wedding songs for more inspiration!